Juanita Elias is Reader in International Political Economy and Head of Department for the 2018/19 academic year. She joined PAIS in 2014 from Griffith University, Australia, where she held an Australian Research Council Future Fellowship (2010-2014). 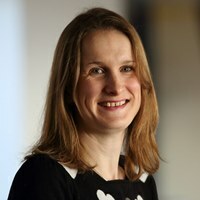 Previously, she was employed as a Senior Lecturer in International Politics at the University of Adelaide (2005-10), as a Lecturer in International Relations at the University of Manchester (2003-2005), and as a research associate at Cardiff University's ESRC Centre for Business Relationships Accountability Sustainability and Society (BRASS) (2002-3). She has published her work in journals such as Journal of Contemporary Asia, Review of International Studies, Journal of Ethnic and Migration Studies, International Political Sociology, Economy and Society, Review of International Political Economy, International Feminist Journal of Politics and The Pacific Review. She is the author of Fashioning Inequality: The Multinational Firm and Gendered Employment in a Globalising World (Ashgate 2004) and co-author of the textbook International Relations: The Basics (2007). She has also co-edited the following books: The Global Political Economy of The Household in Asia (with Samanthi J. Gunawardana, Palgrave MacMillan 2013), The Everyday Political Economy of Southeast Asia (with Lena Rethel, Cambridge University Press 2016), and the Edward Elgar Handbook of International Political Economy and Gender (with Adrienne Roberts, 2018). Juanita is an editor of the Rowman and Littlefield International book series Global Political Economies of Gender and Sexuality (with Nicola Smith and Adrienne Roberts), she is an associate editor at Global Society, and serves on the editorial advisory board of the Review of International Studies. She is also one of the editors of the innovative IPE teaching and learning website I-PEEL. Juanita served as a Commissioner on the Political Studies Association of the UK Research Commission on the Crisis of Care in Austerity Britain which reported in November 2016. Juanita’s research explores the way in which gender relations and identities operate and are reproduced within a range of political economic settings. This includes: work looking at the role of multinational corporations in the production of gendered and racialised forms of inequality; research exploring the construction of vulnerable forms of work and employment such as migrant domestic work; analyses of efforts to include or ‘mainstream’ gender issues within institutional contexts such as the International Labour Organisation (ILO) and the World Economic Forum; and, analyses of how households and (gendered) household relations take shape within and are constitutive of the global political economy. She has a particular interest in the gender biases and assumptions that play out in state development strategies - especially within the context of debates around the rise of the regulatory state in Southeast Asia. Dr. Elias is not teaching during the 2018/19 academic year. March 2018: The Edward Elgar Handbook on the International Political Economy of Gender is out - details here. September 2017: The I-PEEL teaching and learning website www.i-peel.org is launched! Quite simply the best IPE teaching resource on the internet. More here.